I've had many requests to release a poster of the Jimi Hendrix from my "Artists & Icons" series which was shown at SUPAFRIK D.C. last fall. 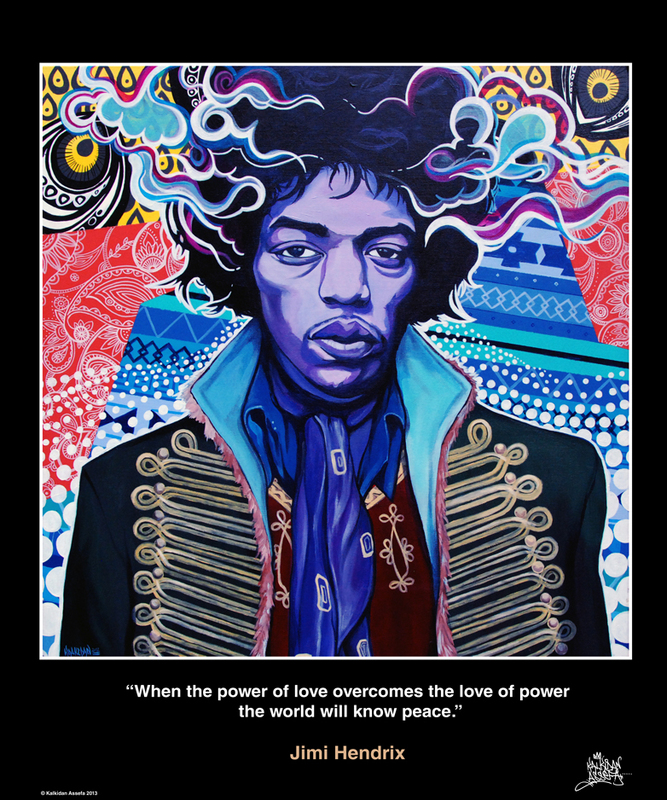 The only reason I hadn't yet is because the piece wasn't actually in my possession, that is until now...So I'm making exactly 30 copies of 20x24 inch prints of Jimi which feature an inspirational quote from the guitar guru himself. Great to frame or mount. High quality print on heavy-body paper, UV resistant inks blah blah blah...I wouldn't sell it if it wasn't proper...hit the BUY NOW button above and get taken to a secure PayPal checkout...no account necessary.